This cross was in a poor state of affairs when it arrived at our offices. Gold Rush Plating polished it back to bare metal and applied a thick coat of copper. 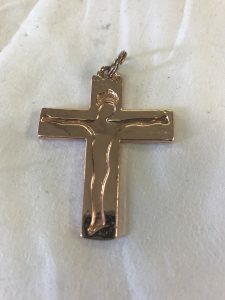 We have just gold plated this beautiful pendant which originally was plated in rose gold. 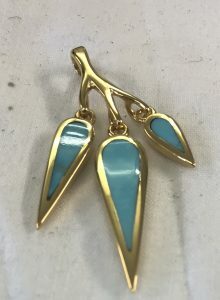 The customer wanted yellow gold to match her other jewellery. We have a customer who makes exquisite wooden jewellery boxes. 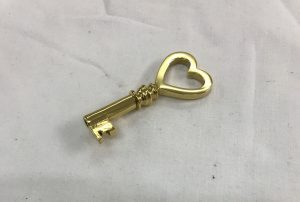 This hand-made brass key required 10 microns of gold. We polished the key to a bright finish then silver plated it before adding a thick layer of gold. Here at Gold Rush Plating we plate all sorts of wonderful items. 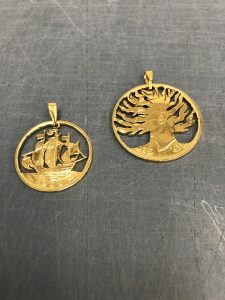 We recently had a customer who required 24k gold plating to two coins that he had beautifully cut out and turned into pendants.